Will the 2 of December. 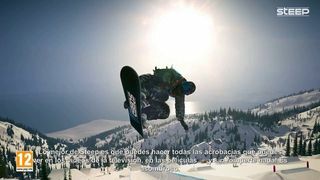 GAME has announced the exclusive content in the form of DLC that we will receive if we decided to book Steep, the new game of extreme sports from Ubisoft, which will arrive on the 2nd of December, in their stores. The title will be available on Xbox One, PlayStation 4 and PC. If we decided to book Steep in the GAME we will receive the so-called DLC Pack Moon Light and  DLC Pack Freestyle, which include the following. in Addition, from the day of launch, will also be available Steep Gold Edition includes all of the following, in addition to the 2 DLCs exclusive GAME for your reservation. DLC 1 – Pack Winter Party: new sport (sled), new challenges and outfits. DLC 2 – Pack End: 3 new sports full of adrenaline (wings, propulsion, base jumping and downhill high-speed), new challenges and outfits.  Pack Adrenaline: more challenges and elements of customization.  Tickets to the helicopter.  Bonus-exclusive look: costume of the snowman. 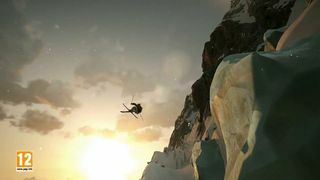 Steep it was one of the surprises of the conference of Ubisoft at E3 this year. It is an open world, explorable with extreme sports, and advanced social features and online. We will do different sports on the snow and in the mountains, as a snowboard, base jump, ski, glide with a wingsuit, etc, committed by the more extreme version of the winter sports. Be launched in PC, PlayStation 4 and Xbox One the next day, December 2.